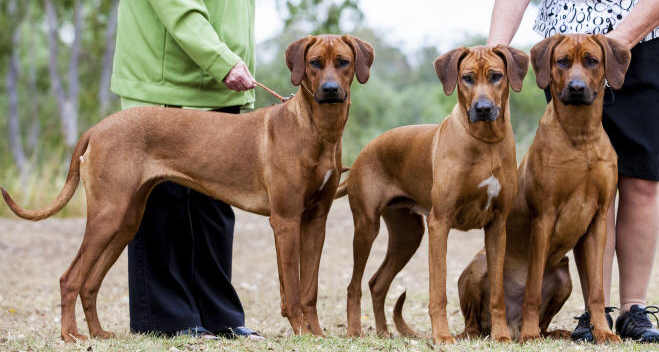 Rhodesian Ridgeback Club of Queensland Conformation, obedience, agility, lure coursing. Breed DNA profile on all breeding stock. Plus Hip and Elbow scoring. Puppies are socialised with children, families and older dogs. Also provided a range of activities to promote confidence and intelligence. Contract that includes conditions of sale e.g. 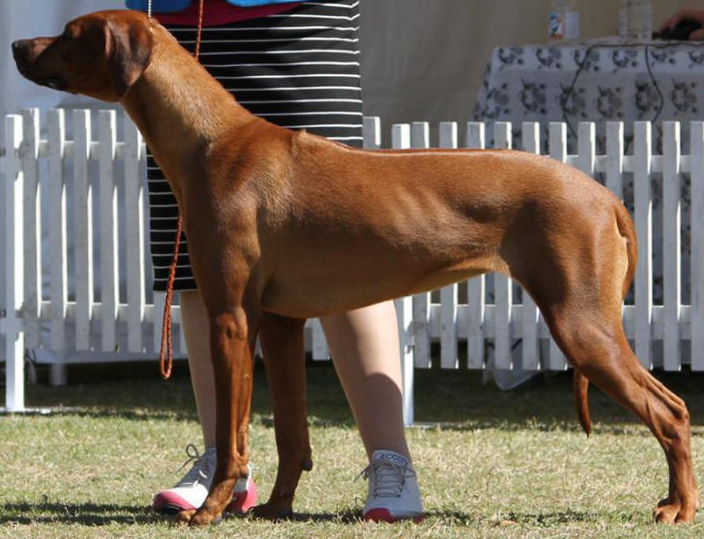 de-sexing conditions for pets, showing / breeding conditions for show. Process is commenced with questionnaire followed by email/phone and then personal interview. Puppies are warrantied for genetic conditions and clearly spelled out remedies existing for puppy buyer and breeder. Get to know purchasers through personal visits and interviews. Watch interactions with dogs and also enquire on previous pets and conditions they consider appropriate for their pet/s. 24/7 365 days a year phone support. If health issues arise puppy is brought or I retrieve and have take pup to my vet for evaluation and/or treatment. 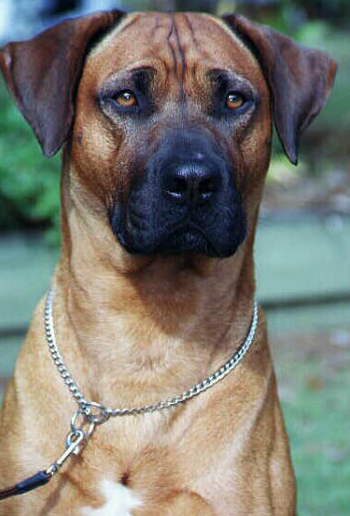 Forms part of my contract with purchaser that any time a dog can't remain with the owner for any reason the dog must be returned to me and I rehouse as necessary through the Rhodesian Ridgeback Club of Qld Rescue. 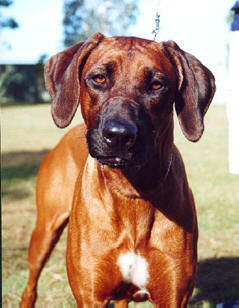 I have been owned by Ridgebacks since my first encounter in the 70's. I purchased Zuki in 1978 and she sealed my total commitment to this extraordinary and wonderful breed. Through Zuki I became interested in obedience training and trialling. Her successor Sharka extended that interest to tracking and agility. Sharka's successor Ko moved me into lure coursing and showing then inevitably breeding. My first litter whelped in 1995 produced the first of 25 Starridge show champions. In 2003 I became a fully qualified ANKC Group 4 (Hounds) judge. My Ridgies have brought immeasurable pleasure and love into my life and continually reinforce my commitment to the breed, a commitment that now extends to breeding the best RRs I can. Starridge babies are bred with the Starridge Vision firmly in mind. Purchase agreements that provide security both to me as the breeder and to you as the puppy buyer are placed on every puppy. The agreements are there to protect the puppy and are modified for each puppy and situation as required. These agreements require correct feeding, care and training from you as the puppy buyer whereas I, as the breeder, consider that each and every puppy is my responsibility for its lifetime and thus I provide full breeder backup including temperament and soundness warranties. All puppies not being shown have neutering as a mandatory requirement. All puppies come with a breeder booklet covering all aspects of loving and living with your puppy. They are of course vaccinated, wormed and microchipped. All puppies health care is carried out at Manly Rd Veterinary Hospital. All puppies are whelped in my bedroom and are house raised until four weeks when they move out to the puppy palace for some sunshine and ranging room. If you are interested in acquiring a Starridge puppy please in the Puppy Questionnaire on my website, send a message or phone me. 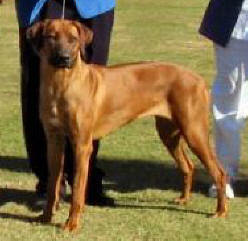 For information about Rhodesian Ridgebacks and also our breeding, please visit our website.